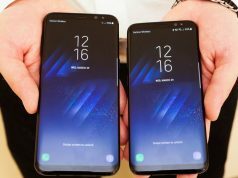 The Samsung Galaxy S8 and S8+ are two of the most powerful Samsung phones. 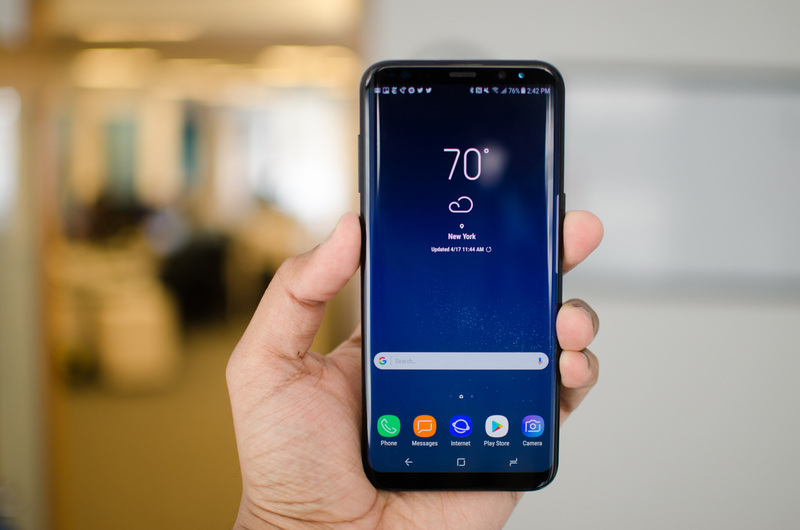 If you are a Galaxy S8 or Galaxy S8+ user your life will be much easier with these tips and tricks that we have on our list. We guarantee that it will bring your experience to a whole new level! This trick is one of the biggest ones. It’s a bit of a question why this feature isn’t turned on by default. 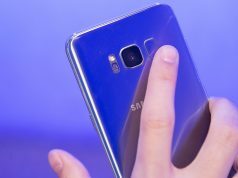 Galaxy S8 and S8+ both have beautiful high-resolution 2960 x 1440, but they aren’t set to use every pixel to their fullest. If you want to take advantage of one of the best smartphone display that’s on the market, go into display options and increase the resolution from 2220 x 1080 to 2960 x 1440. Go into Settings and search for screen resolution and drag the slider to the right toward the side labeled WQHD+ 2960 x 1440. 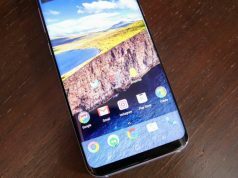 With the new Galaxy S8, you should probably know that it has a virtual home button. It means that you can’t double tap it to launch the camera. However, if you enable the Quick Launch feature you can press the power button twice and it will do the same thing like previously double tapping the home button. Go into Settings and then look for Advanced Features. There, you will find the Quick Launch Camera option. Tap the slider to toggle this feature on. The Galaxy S8 is one of the fastest phones that’s available on the market. With a couple of swipes and taps, it can actually be even faster. 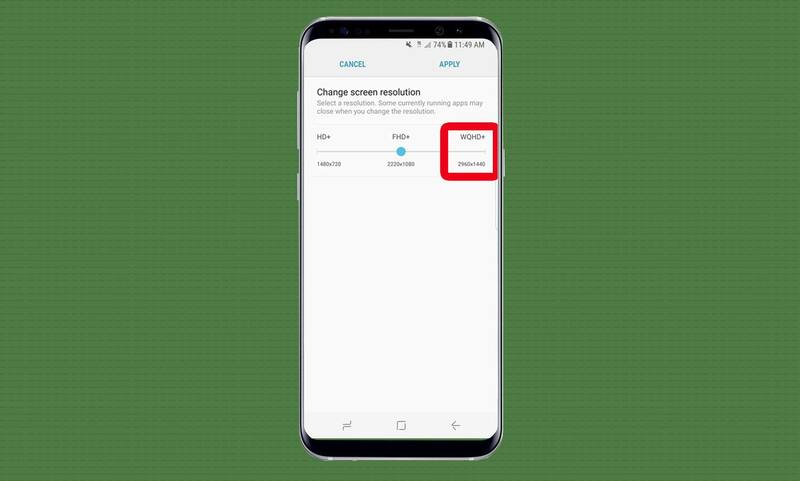 On the S8, Samsung has included a handy device-management function so you can keep tabs on how much memory you are currently using, the phone’s battery status and the amount of storage. 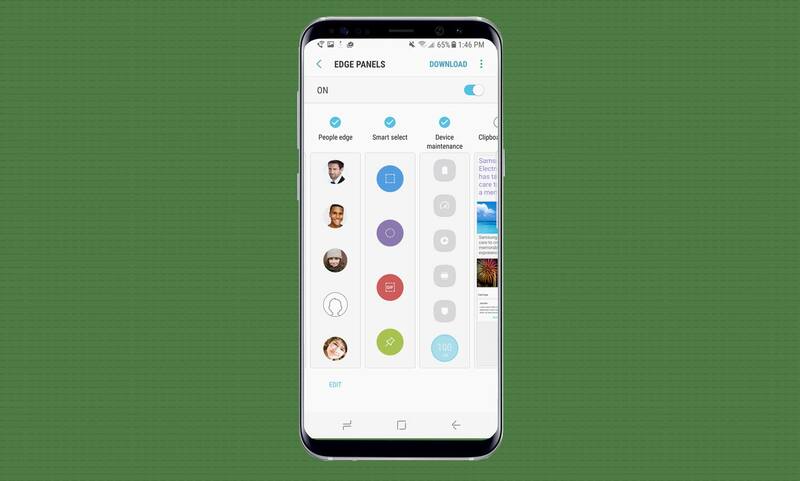 There’s also an option to clean out any unnecessary background apps, while another button lets you choose from different power modes (optimized, game, performance, entertainment). Search in Settings for Edge Screen, enable the toggle for Edge panels and then tap the setting to see a listing of available panels. On the following screen, make sure that the toggle is set to On before scrolling to the right and tapping on the circle above the one that says Device Maintenance to add it to your list of Edge apps. The way to access the Device Management Edge app, swipe in from the small tab on the right or left side of the screen to open the Edge apps menu. Afterwards, swipe through the various apps until you get to Device Management. Everyone could use a little more sleep. The blue light emerging from the screens of the many devices that we own in our house could be affecting that. Thankfully, the S8 comes with a blue light filter that cuts down the harsh light. You would have much easier time falling asleep at night. As it gets closer to bedtime you can, change the option and set to so that your phone’s color tone will gradually shift toward warmer tones. Emergency alerts are important, but the alarm that never seems to end can be annoying for a lot of people. You may want to adjust the setting for emergency alerts before you forget. The setting for emergency alerts isn’t actually in the standard settings menu. 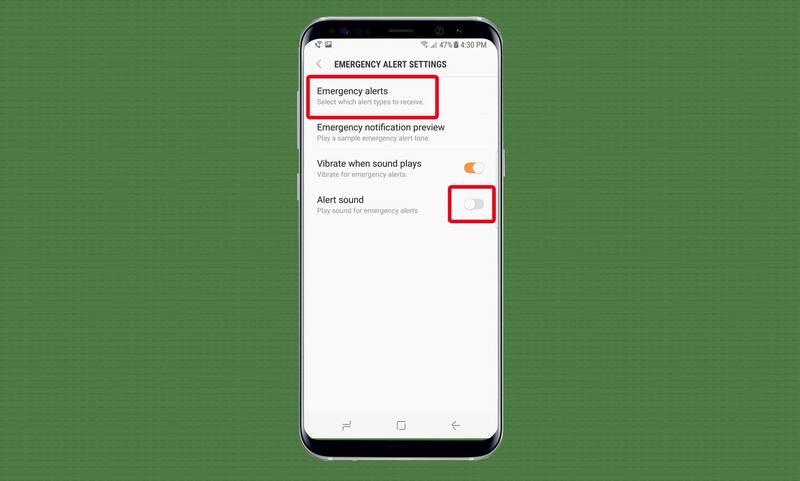 Open up the Samsung Messages app, hit the three-dot menu icon in the top right, tap the cog icon (Settings) and then select the option for Emergency Alert Settings. From there you can select which types of alerts you want to receive and what kinds of vibration will go off when they appear.